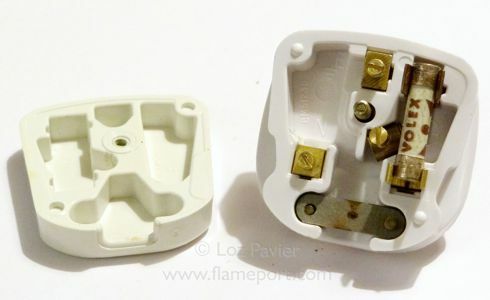 White plastic Volex branded plug. Pictures and text provided by Loz Pavier. 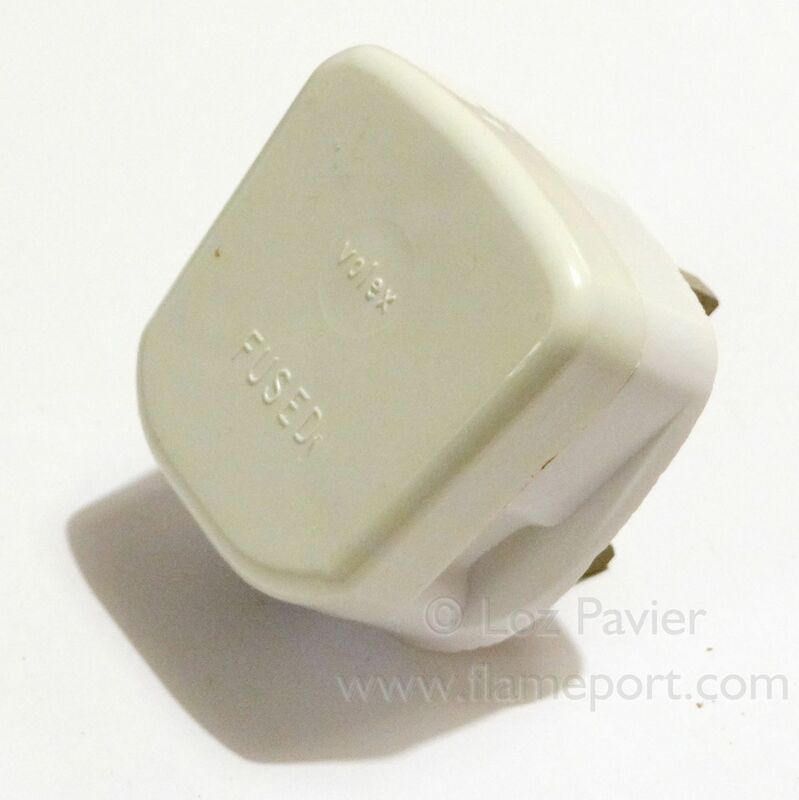 A Volex branded plug, of the design used by Volex from their earlier days as Volex Temco, right up to the end of production in the 1980's. 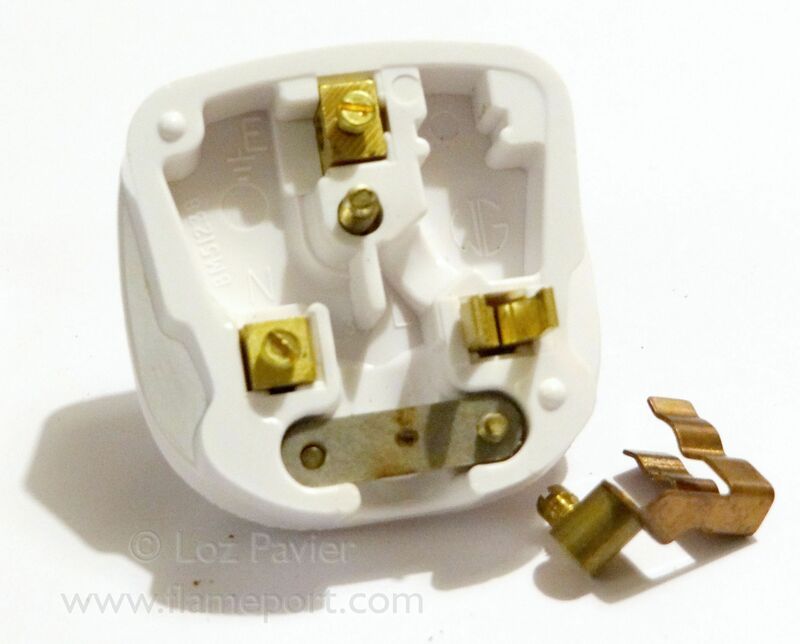 This plug was available at different times with both shielded and unshielded pins. This plug has a hard bakelite type base, with a soft plastic lid which has discolored with age and exposure to light. The fuse is the original 13a Volex one with an ASTA certification. Underneath the fuse terminal, we see a WG brand logo. Volex eventually took over WG, so branding was varied throughout this phase.